After selling off the Vaio PC business to an investment firm in February, Sony's old computer brand has reappeared under new management. 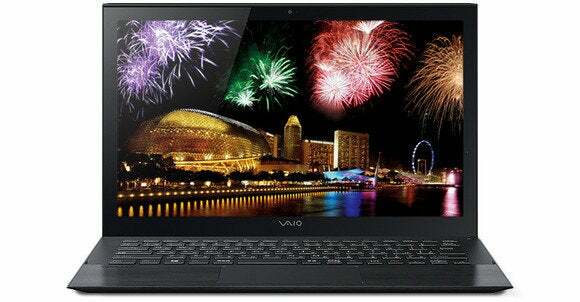 Japan Industrial Partners officially reintroduced Vaio laptops on Tuesday, focusing purely on the Japanese market. When it picked up the Vaio brand from Sony earlier in 2014, JIP said it would roll out its PCs only in Japan to start. Sony elected to sell off its PC unit to focus on smartphone and tablets. Even though it's under new management, the new Vaio isn't all that different from the old one. Vaio PCs will continue to be sold through Sony's online Japanese storefont (Sony retained a 5 percent stake in the Vaio PC business). The new Vaio models are also pretty much the same Vaio Fit and Pro laptops that Sony introduced in 2013. On the Vaio website right now, Japanese consumers can pick-up an 11- or 13-inch Vaio Pro with an Intel Core i3, i5, or i7 with prices starting at ¥120,000 (about $1181). The laptops come loaded with Windows 7 or 8.1. The Vaio Fit 15E is also for sale starting at ¥100,000 ($984), with similar choices for Windows system software. Both the Fit and Pro models have touch options available, as well as varying onboard storage specs ranging from a 500GB HDD on the Fit 15E to 128GB and 256GB SSDs on the Pro models. The new devices are missing the famous Sony branding below the display, which has been replaced with the Vaio name. Although the Vaio brand is reborn, it will take awhile before we get a sense of whether the new Vaio will offer the same attention to design that Sony did. It's also too early to know whether the company will have the capacity to attract Japan's PC buyers with new and innovative features.